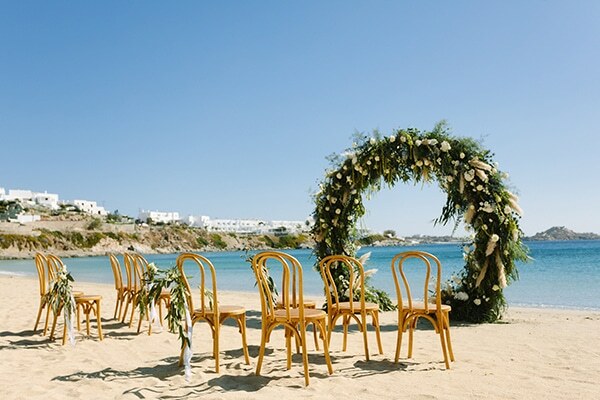 Today we are sharing with you a dreamy photoshoot in Mykonos island that will mesmerize you! 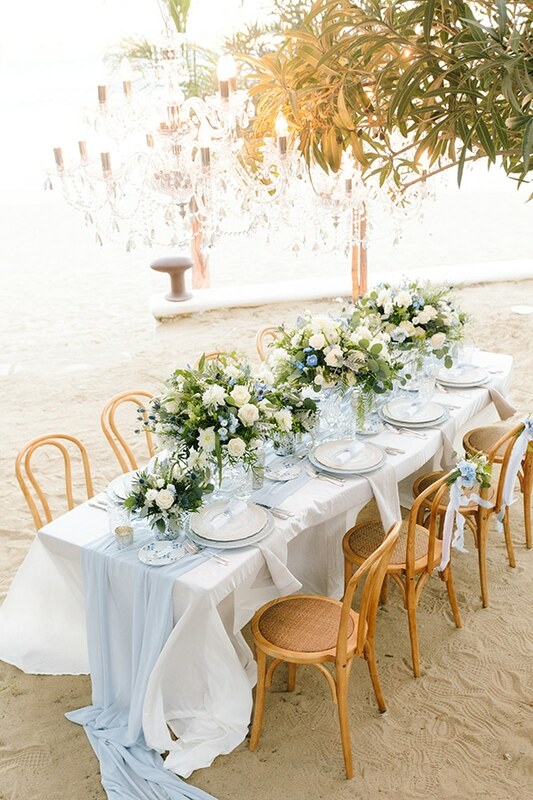 A team of vendors created a beautiful, luxurious scene next to the deep blue sea with many fresh flowers and shiny details. 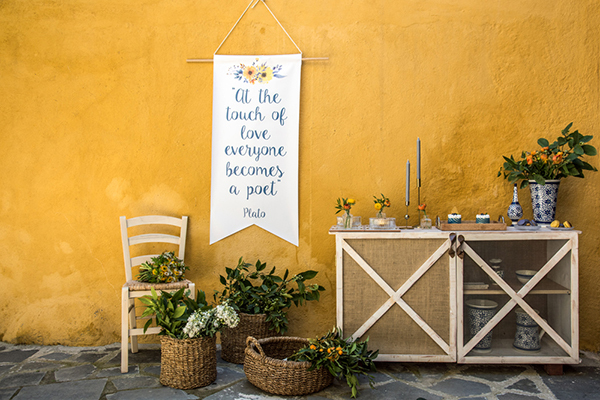 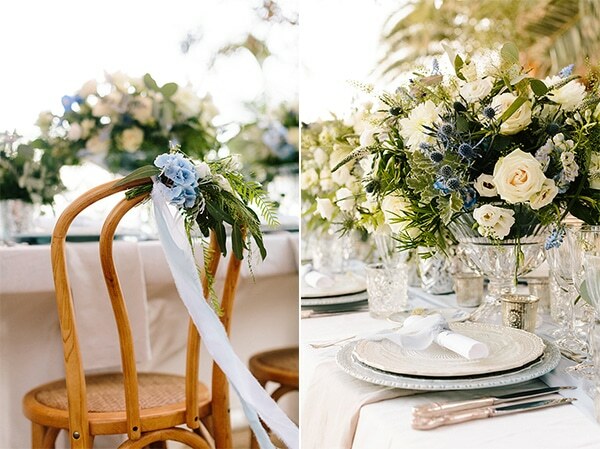 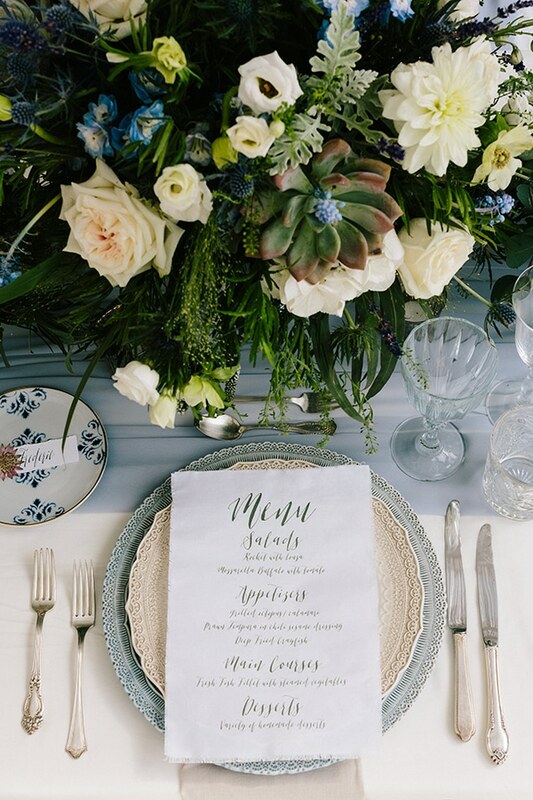 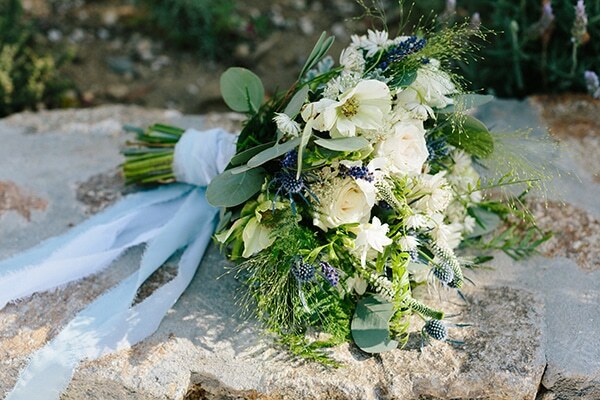 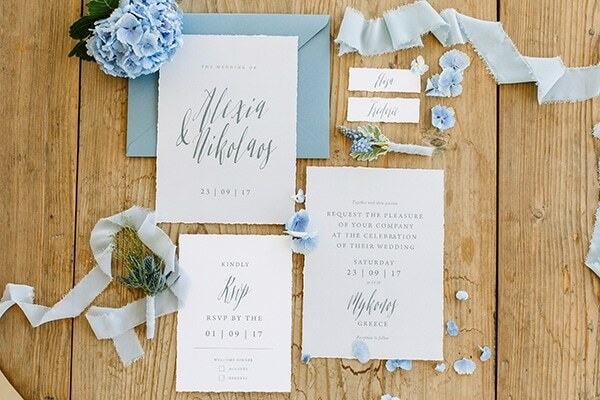 They chose white and blue hues that matched perfectly with the natural, Hellenic landscape. 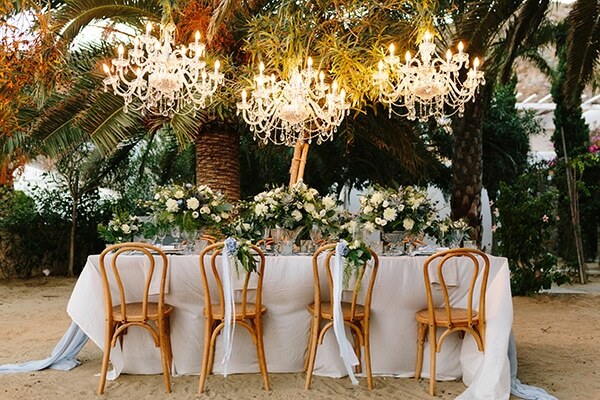 Unique tableware and hanging chandeliers added the essential touch of elegance. 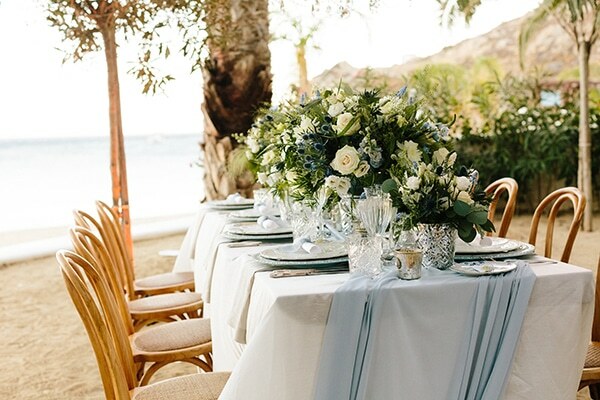 Feast your eyes on this beauty through the following photos!